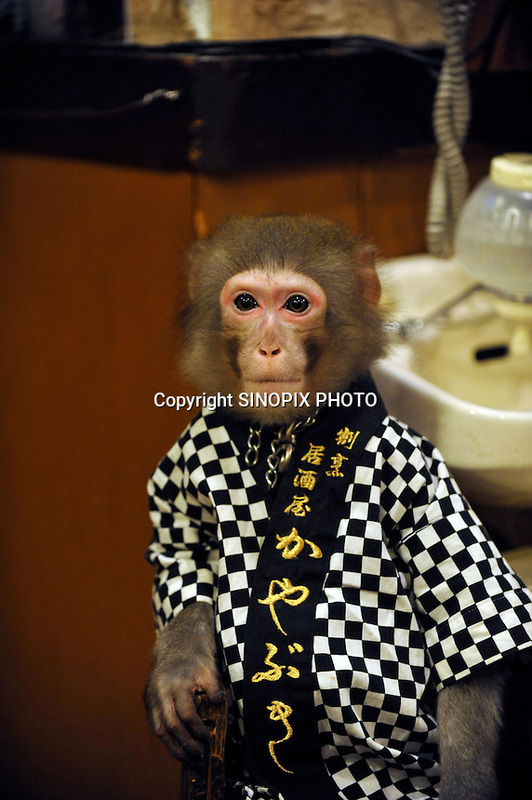 Fuku-chan, 6, a Japanese monkey waiter, at an Izakaya bar in north of Tokyo, Japan. The six year old monkey looks after the guests hot towels by taking them from the steamer oven and delivering them to all guests. The bar is extremely popular amongst people from all over Japan who come to see the monkey waiters.